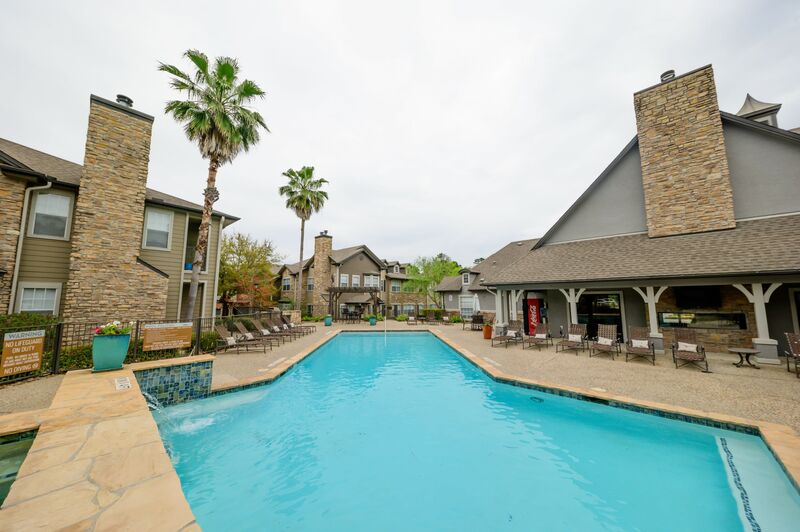 Browse our floor plans and see which of our luxuriously comfortable one, two, and three bedroom apartments for rent in The Woodlands, Texas, feels the most like you. 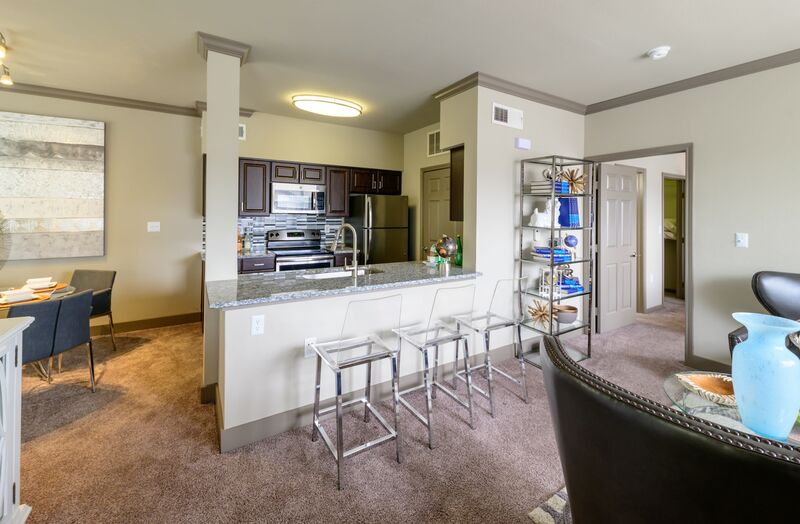 Whether you’re craving a one bedroom apartment with a breathtaking view of the lake, a spacious two bedroom apartment to share with a significant other, or an expansive three-bedroom apartment close to the pool for you and your roommates, you’re sure to find exactly what you’re looking for. Your choices range from a cozy one bedroom retreat to a three-bedroom option with 1,556 square feet of shareable living space. Although it’s hard to rival the gorgeous backdrop of Lake Wyndemere, your apartment will be equipped with elegantly functional features that are stunning in their own right. Your stainless-steel appliances and granite countertops provide inspiration for creative culinary exploration. A wet bar in select units is perfect for mixing handcrafted cocktails that you can serve to guests on your private balcony or patio. And convenient built-in shelves provide a functional spot for books or a special display area to spotlight your unique decor. Ready to see your dream apartment in person? Contact our team to set up a tour.